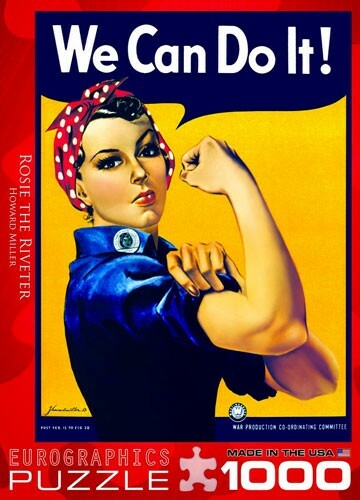 Artist Howard Miller created this motivational poster of Rosie the Riveter for the Westinghouse Electric and Manufacturing Company. Though displayed only briefly in Westinghouse factories, the image has become one of the most famous icons of World War II. 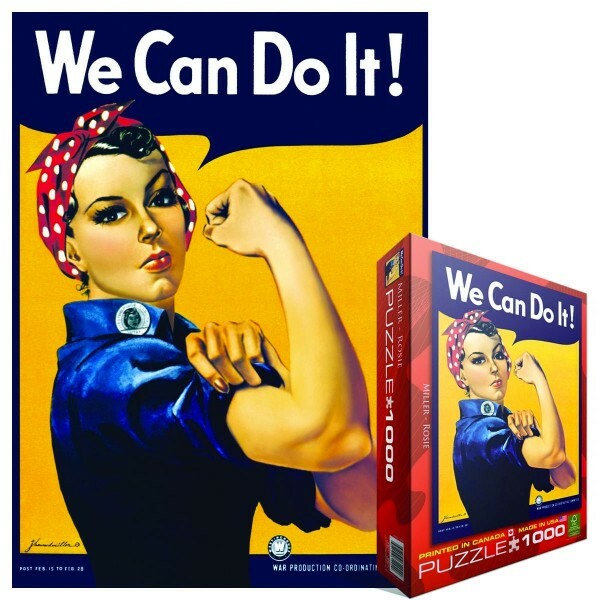 This puzzle features 1,000 easy-fit pieces that are unbreakable, made from recycled board certified by the Forest Stewardship Council and printed with vegetable-based ink. This superior quality puzzle will delight and educate all at the same time.